Volognano takes up and updates its wine tradition by launching the new labels Per me and Per te, respectively an IGT red blend aged in wood, decisive and persistent designed for the guests of the structure and a white IGT designed for those who want to take and taste at home a fresh and spicy bouquet, with a tropical mood briefly aged in wood. Origin: produced by the historic vineyards of the Volognano farm, owned by Pecchioli family since 1957, located close to Florence. Alcohol content: variable between 13% and 14% by vol. Vinification: The best grapes selected manually are fermented in steel containers at a controlled temperature of 22° C for about 10 days. 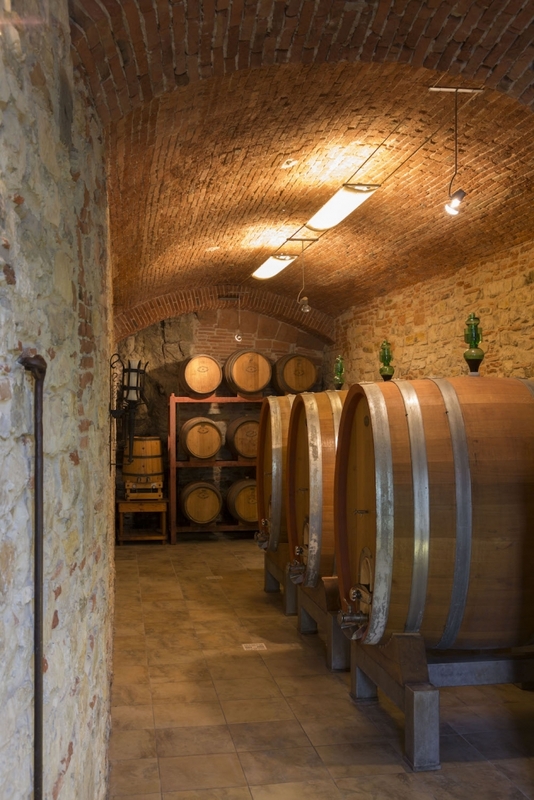 The malolactic fermentation occurs naturally in the winemaking cellar; after that the wines obtained from Cabernet grapes, are brought to the aging cellar. Then they begin the aging process of at least 12 months in 17 hL oak barrels for Sangiovese and 225L barrels for Cabernet. At the end of the aging process the wines are assembled after a careful evaluation of the organoleptic characteristics of the product, and refined in the bottle for at least 6 months before the marketing. Origin: produced by the historic vineyards of the farm, owned by the Pecchioli family since 1957, located close to Florence. Vinification: The grapes are gently pressed, the must is clarified and after 24 hours the alcoholic fermentation starts at a controlled temperature. After that, the malolactic fermentation is completed, the wine is left to rest for about 2 months in small steel containers and then transferred to 225L oak barrels where it will remain for a time of about 3/4 months. Bottled at the end of the spring, the wine is marketed after a short refinement in the bottle. Tasting notes: Intense yellow color. Strong aromatic notes of tropical fruit and spices deriving from both the grapes of origin and the short maturation in wood. The taste of the wine is persistent but characterized by an excellent freshness, deriving from the typical acid notes of a white wine. We recommend to pair with dishes based on fish sauces, medium-aged cheeses and white meats. https://www.volognano.com/wp-content/uploads/2018/06/Volognano-taste-botti.jpg 1500 1000 Volognano https://www.volognano.com/wp-content/uploads/2018/05/volognano-logo-web2-3-300x134.png Volognano2018-01-28 12:18:402019-01-29 10:08:15"Per me" and "Per te"